Special powers are being used to protect a Blackpool landmark from the potential threat of demolition. Town hall chiefs have agreed to adopt planning controls “with immediate effect” to preserve the Layton Institute which in its heyday was one of the resort’s most popular social clubs. However the building on Westcliffe Drive has had a chequered past in recent times, prompting concerns over its future. In 2012 the club shut down for a short while and since then two planning applications to develop parts of the site have been turned down by the council. Currently a dance school operates from the former first floor concert hall, and the ground floor is run as a pub called The Layton. The building, which is locally listed and more than 100 years old, has now been made the subject of an article four direction. This means any bid to demolish it would have to be considered by the council under the planning system, taking its historical significance into account. 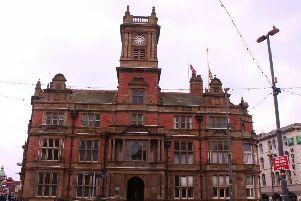 Coun Gillian Campbell, Blackpool Council’s deputy leader, said: “The Layton Institute has significance both as a local landmark in Layton and in the history of social and educational clubs and associations in Blackpool. “It is a lovely building, adds architectural interest to the streetscape and provides a social amenity in the neighbourhood. “The council is concerned that any proposed development may potentially involve demolishing the building, or may not fully respect the integrity of the site which includes the bowling green to the rear. “We have therefore introduced a measure known as an article four direction on the property which will restrict certain permitted development rights, ensuring any scheme coming forward will go through the planning process and be debated, with due consideration given to the historical significance and amenity value of the site. “We understand that buildings are demolished to make way for developments that have positive impacts on the locality. The Layton Institute was made famous by Paul O’Grady’s creation Lily Savage when he filmed his Live from the Lilydrome TV show there in 1995. In 2015, a bid by owner The Minotaur Group to use part of the ground floor for retail purposes, was refused at a planning appeal. Previous applications to build houses on the bowling green have also been thrown out. Gareth Urwin, director of The Layton pub, said the property had been up for sale. He said: “The Layton Institute is a big part of this community, and when it closed people were screaming for me to get it back open. “At the Layton we are trying to keep live music going, and having the dance school here has also helped. Layton ward councillor Martin Mitchell welcomed the council’s intervention. Alan Pilborough, chairman of the Blackpool and District Federation of Concert Secretaries, said there were now only 16 working men’s clubs left in Blackpool compared to 46 at the height of their popularity. Recently it was feared another Blackpool landmark, Uncle Tom’s Cabin on Queens Promenade, could be demolished until Ma Kelly’s stepped in to take it over.